Enquanto a performance de FT , as calças de Hongki ficaram rasgadas. Ele mostrou suas calças rasgadas para Yong Hwa no palco. Yong Hwa gritou: KKYAA! E cobriu a boca com as mãos, em seguida, saiu dançando uma dança estranha. 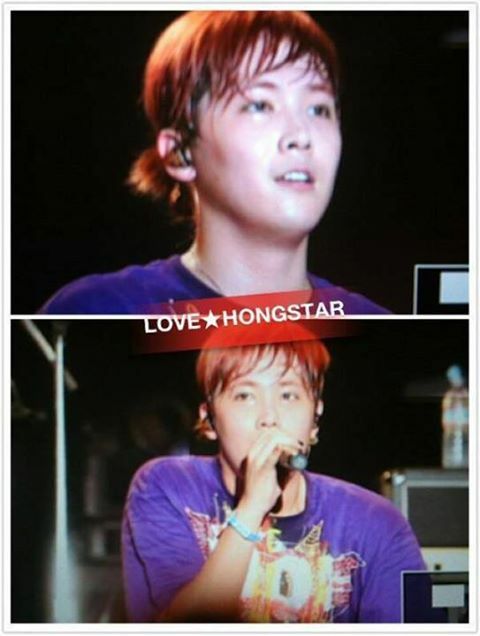 While FT performing, Hongki’s pants were torn. He showed his torn pants to Yonghwa under the stage. Yonghwa screamed Kkyaa~ and covered his mouth with hands then went out dancing weird dance.